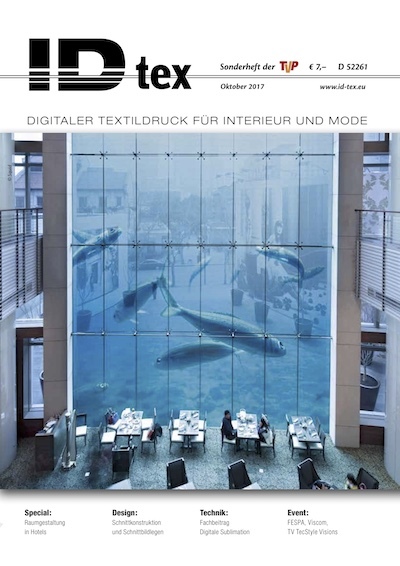 IDtex is the first German-language specialist journal on digital textile printing for interior design and fashion. Large-scale inkjet printing reveals undreamed-of possibilities for the production of individual and customized products to designers, architects, interior designers and creative people working in the fashion, home textiles, hotel and furniture industry. Your very own design on your fabric – the Do-it-yourself trend of the hobby scene now makes its way into the world of industrial production. IDtex reports on trends, suppliers and techniques.